At some point during his illustrious career Nintendo hero Mario swapped girlfriends, dumping Donkey Kong's Pauline for Super Mario's Princess Peach. How did that go? A little something like this. 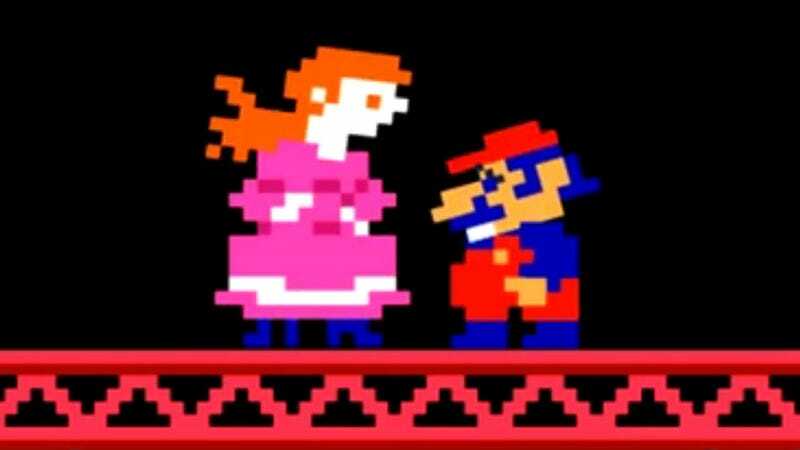 Mario and Princess Peach are one of video gaming's premiere couples, but that wasn't always the case. We often discuss the great success of Shigeru Miyamoto's Donkey Kong, how he created two of the most iconic figures in gaming, but what about poor Pauline? No one gives a damn. She only gets dusted off for the Mario Minis series to help preserve Donkey Kong kidnapping victim continuity. Good riddance, I say.